What do children do at Preschool? 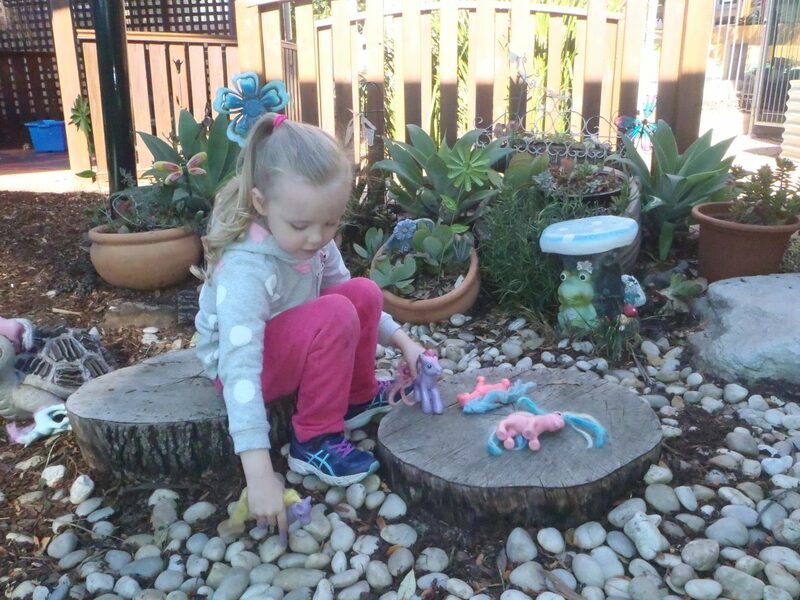 Lalor Park Preschool provides a high quality educational program that maximises each child’s learning potential within a safe, enjoyable and welcoming environment. Children are free to explore learning at their own pace and engage in sustained enquiry based learning. When children commence Preschool, they are placed in either the ‘Sunshine’ or ‘Rainbow’ room in a group of 20 children. Throughout the day, each classroom will spend some of their time interacting with the other class and staff, which provides them with the opportunity to socialise within a larger group of children and therefore develop friendships outside of their own group. At other times throughout the day, smaller groups are more beneficial. The children have the same staff working with them at all times, which helps to support their growing sense of security and trust as well as a strong sense of belonging. Each day, the staff plan a variety of learning experiences based upon the children’s individual interests, needs and stage of development. Both the indoor and outdoor areas are set up with a variety of learning experiences such as art and craft, puzzles, books, blocks, dramatic play, literacy centre, maths activities, computers, iPads and more. 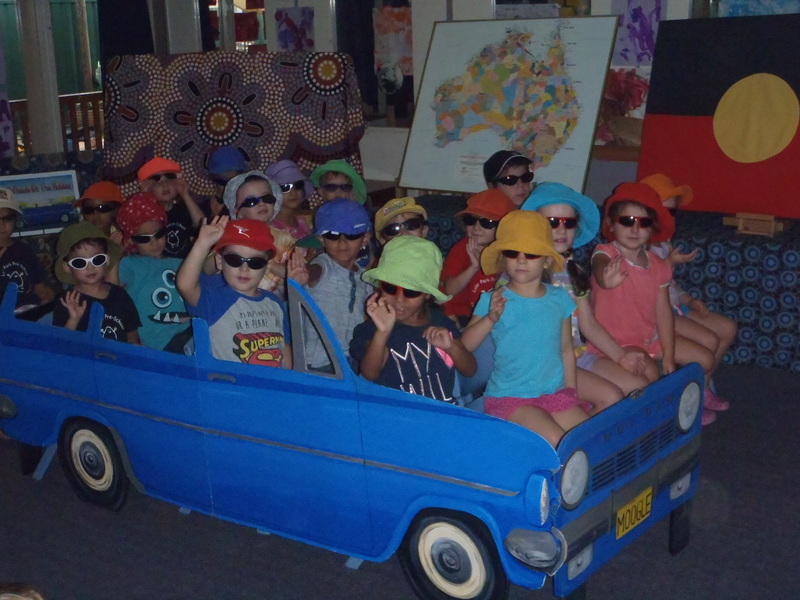 The program also includes daily language and literacy groups where different learning focuses and concepts are presented through stories, pictures, puppets, drama, discussions and games. Music group times include dancing, singing, playing musical instruments and movement. Similarly, the outdoor area is also a very attractive learning environment. It is fully shaded for sun protection and offers defined play spaces with gardens and lots of ‘naturalness’. It provides staff with flexibility in matching the learning experiences to children’s developing needs and interests. The environment features several smaller areas for children to engage in quiet play with a friend or two, and larger areas where children can engage in exciting pretend play. With two sandpits, a water course, flying fox, slippery dip, gazebo and a large area for playing with balls, riding cars and climbing, there are ample opportunities for great fun and enjoyable learning experiences. The outdoor area also provides children with opportunities to be connected to and contribute to their world, where they can learn social responsibility and respect for the environment. The outdoor environment includes a vegetable garden, strawberry patch, flower gardens, composting bin, rain water tank, drinking bubbler, and many other wonderful experiences where children can engage in gardening, sustainability and science experiments. Although these experiences are presented as a range of fun, play based activities, they are actually a carefully constructed set of learning experiences with objectives, based on the children’s individual needs, learning styles, interests and stage of developmental. Throughout each day, all staff are involved in regular observations of each child. This information is then used to plan the program and monitor each child’s individual progress. Teachers spend time observing how each child is progressing in each area of their development. The experiences and activities within the program are then planned to meet their needs, and the children are encouraged to contribute their ideas towards the activities. A document, called ‘My Learning Portfolio’ is compiled for each child throughout their Preschool year. The portfolio is a progressive document that the children also contribute to throughout the year. This helps them to value their own learning, develop a strong sense of identity and enhance their self esteem. The portfolio also provides families with valuable information on how their child is progressing throughout the year in each area of their development. We aim to foster in children a strong sense of identity, emerging autonomy, self-confidence, resilience, inter-dependence and an ability to interact socially with care, empathy and respect for others. We also aim to help develop children’s creativity, problem solving and critical thinking skills.